When your adult teeth come in, they’re built to last a lifetime. But life happens, and teeth can succumb to decay or get knocked out. To fill in the gap, there are many dental solutions, but no others feature the same benefits as dental implants. At Periodontal Implant Group, Dr. Hai H. Nguyen and our team of dental implant specialists have extensive experience placing dental implants, which go a long way toward restoring both form and function to your teeth while preserving your dental health for years to come. Here are 5 advantages of replacing missing teeth with dental implants. When you lose a tooth, you lose much more than meets the eye. Down below your tooth is a root that goes into your jawbone, which is living tissue that’s constantly repairing and renewing itself to keep your teeth stable and up to the daily rigors of chewing. The bone in your jaw doesn’t operate in a vacuum, though, and relies on signaling from your tooth that the root is still active. As you chew, your body registers this activity down through your tooth, into your root, and into your jawbone. This action lets your body know that the area of bone that holds the root still needs to be kept strong. When you lose a tooth, you lose the root, and your body no longer receives the signal that the area is active, so it begins to shut down regeneration of the bone where your tooth once was. As a result, your bone begins to deteriorate, which can cause a sunken-in appearance on your face. As we explained above, your tooth does much more than sit prettily in a line — it’s critical to keeping your entire line of teeth in position. A missing tooth can cause a domino effect in your other teeth, especially when the bone below begins to weaken, which can cause your neighboring teeth to shift out of place. When this happens, your entire bite can go off balance and affect the way you speak and chew. Now that we’ve discussed what happens when you lose a tooth, let’s take a look at how a dental implant can help. The biggest advantage to a dental implant over other replacement options is that we place a new “root” down into your jawbone. This root is a titanium post that we surgically implant into your jawbone, which grows up around it, integrating the post into your natural bone. This natural fusion into your jawbone allows for superior stability and prevents bone loss. Other replacement options, such as bridges and partial dentures, simply aren’t as stable because they’re only attached on the outside to neighboring teeth. While your natural teeth are designed for a lifetime of use, so is an implant. Unlike other replacement options, which aren’t fused into your natural bone, our dental implants mimic your missing tooth right down to the root. Once the bone in your jaw grows up around the post, the implant is, for all intents and purposes, as sturdy and integrated as your natural tooth was when it was healthy. While we may need to replace the crown that we place over the implant after 10-15 years, this is a simple procedure because the implant is already in place, and all we need to do is place a new custom cap over it. The bottom line is that dental implants offer a solution for missing teeth that, for all intents and purposes, are almost exactly like your natural teeth. This means that you brush and care for your dental implant just as you do your other teeth, as it requires no special care. 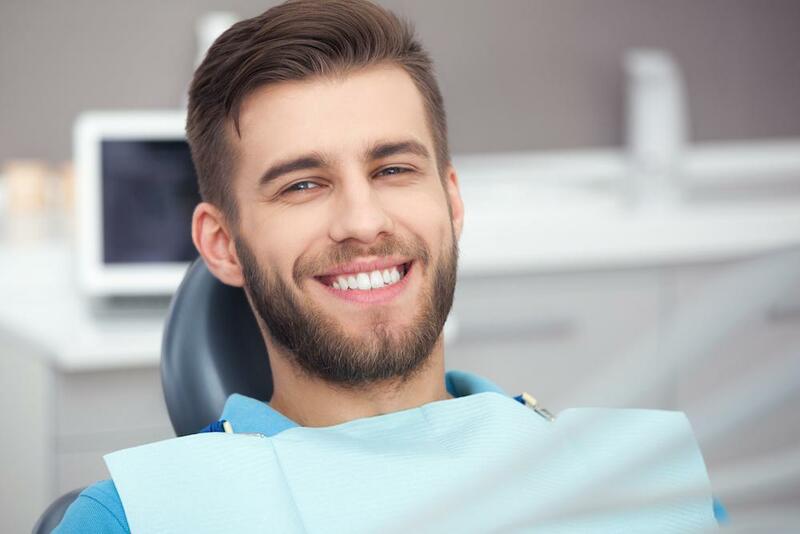 If you want a solution for your missing tooth that rises head and shoulders above the rest, call us to find out whether you’re a candidate for a dental implant. Or you can use the online scheduling tool on this website to book an appointment at our Houston office.